GRAFENWOEHR, Germany – The grand opening of the new sports nutrition shop located inside Tower Barracks Main Store will be on Sept. 21. Soldiers and their families can find everything they need to support an active lifestyle with the new sports nutrition shop. 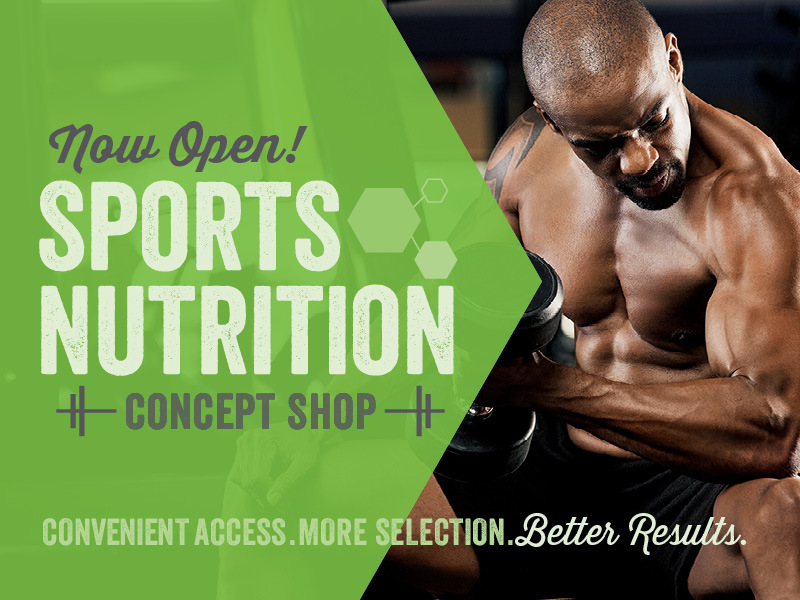 The new shop features pre- and post-workout supplements, sports drinks, vitamins and high-protein snacks all in one place. The shop boasts industry-leading brands such as Ghost, Sparta, Merica’s Labz, Performance Inspired and more, as well as an increased selection of natural supplements. Previously, the different products were located in various departments throughout the store. The sports nutrition shop has items designed for all different levels of physical fitness to support our shoppers in everything they need for recreation and fitness. The grand opening will include 7th Army Training Command commander, Brig. Gen. Christopher LaNeve, Exchange Europe senior vice president, Jason Rosenberg, vice president Elizabeth Goodman-Bluhm, Exchange Europe Commander, Col. Scott Mcfarland and Europe Region sergeant major, Sgt. Maj. Julia Henry. The Tower Barracks Main Store sports nutrition shop is one of more than 30 that the Army & Air Force Exchange is rolling out worldwide this year as it focuses on providing more options for Soldiers, Airmen, retirees and families to fuel an active lifestyle.